This Wednesday evening at the Old Trafford, Manchester United will play against Barcelona in the quarterfinal of the Champions League. The game looks destined to be packed with excitements. To make it even more exciting, why not place some real-money bets? We’ll help you to pick the best ones in our Manchester United vs Barcelona prediction and betting tips! Since Ole Gunnar Solskjaer has been in charge, they have been playing much better than they were in the Mourinho era. And to reward him, the board of directors decided to make Solskjaer Man United’s permanent manager. The atmosphere in their locker room has been fantastic lately, but will that be enough to do well against Barcelona. 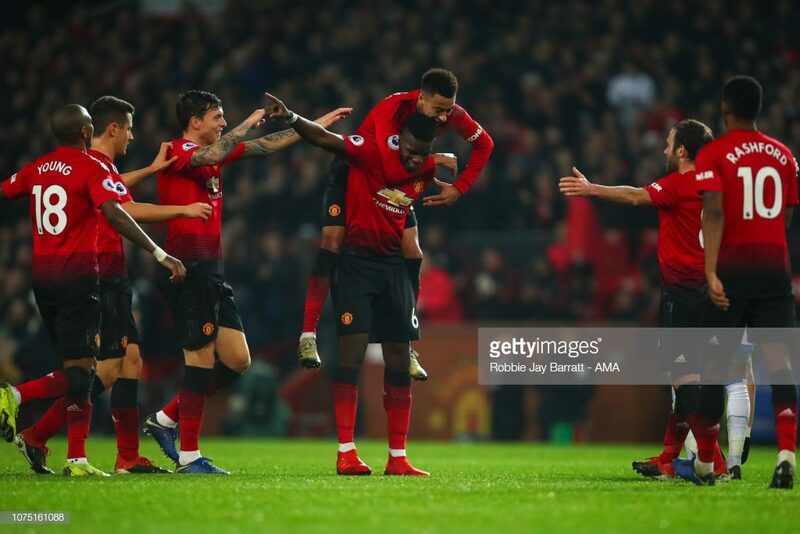 Well, they surely aren’t favorites, but we need to point out in our Manchester United vs Barcelona prediction that the Red Devils have already proved themselves as true giant-slayers. Just remember the doubleheader with PSG! Another thing going in their favor is that this game is played at the Old Trafford, where they’ve been pretty impressive this season. Actually, they lost only two games on their turf since summer. Unfortunately, both of those defeats happened in the Champions League. The first one was against Juventus in October; the second loss was to PSG in February. This team has been playing fantastic this entire season. They’re just a step away from securing La Liga trophy, while they’re also the favorite for winning Copa Del Ray against Valencia in the final. And Barca is also one of the biggest favorites for winning the Champions League. That cannot be a big surprise, considering that they’ve been playing at a very high level, winning all but one game played in March. And some of the wins they made last month were pretty impressive, including the one against Real Madrid. They continued their good run in April as well, by winning against Atletico Madrid, a team that’s on the second place on La Liga table. With that win, Barca created a gap of 11 points between them and the second-placed Atletico. What this means is that they can be certain La Liga title is theirs, so they can switch their focus entirely on the Champions League. Last time they won the trophy was five years ago when they beat Juventus in the final. Seven players from the trophy-winning XI are still in the squad, but some of them are well in their thirties, Lionel Messi included. But, Messi is having the time of his life at the moment, playing at a really fantastic level. As this is one of his last chances to win another Champions League trophy, you can be sure he’ll give utmost in this match. And that’s why one of our Manchester United vs Barcelona betting tips will be about the Messiah! Barcelona aren’t too great when it comes to playing away matches in the Champions League. Actually, most of the games they played on the road in this competition were draws, at least in the last couple of years. So, instead of betting on Barca to win, better try with goals. We’re bound to see many of them.